Sciblogs | Sunday Spinelessness – Jump! If my hunch about those two photos representing one species is right, then I’ve shown you photos of two species here. Hardly a fair sampling of the 5 000 currently described species of jumping spiders (about as many species as all the mammals put together). 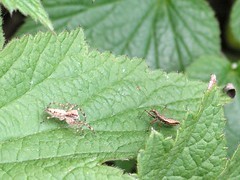 Those two species are relatively drab, but jumpers come in some amazing colors. Thankfully, photographers with much more skill than I have recorded some of that diversity. 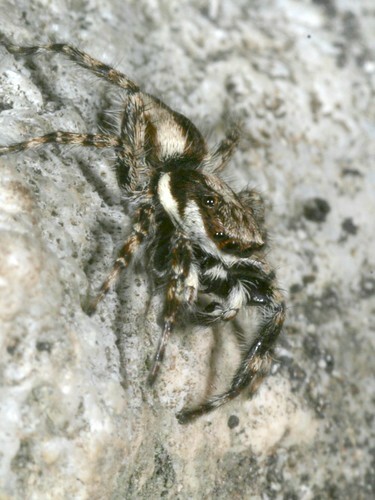 Ted MacRae recently linked to Thomas Shaha’s focus stacked invertebrate photos which include some of the most amazing jumping spider photos I’ve ever seen and Ugly Overload wronged the group by including a montage of jumping spiders on their pages. 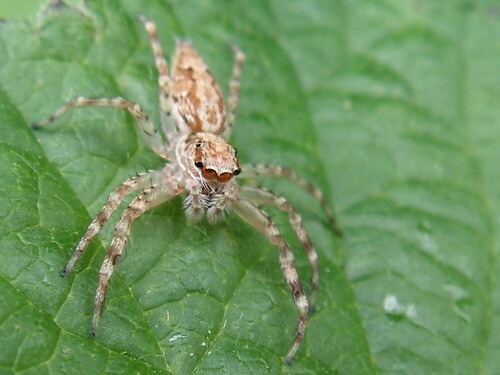 A wee update: Another local blogger has been talking about jumping spiders lately, Alan Macdougall had a Trite auricoma pay him a visit, check out his neat photos here. Gosh. The thought boggles the mind somewhat. 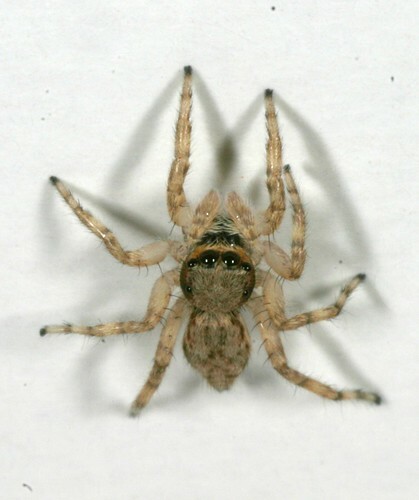 It might take a little more than that – currently, on being confronted by a surprise ninja spider behind a tree, the first response would be to scream ‘eeee!’ and run away rapidly waving hands in the air. 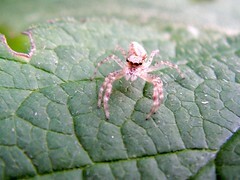 I find that most spiders are small, shy, furry creatures- much like a timid kitten. I know (rationally) – unfortunately my hind brain still doesn’t always. Heh.